Specifically created for normal and combination skin. Contains very effective ingredients, including Rosemary and Cypress essential oils, which favour skin irrigation and make for a luminous and fresh complexion and beer yeast, which purifies the skin, rebalancing sebaceous gland secretion and adding beauty. 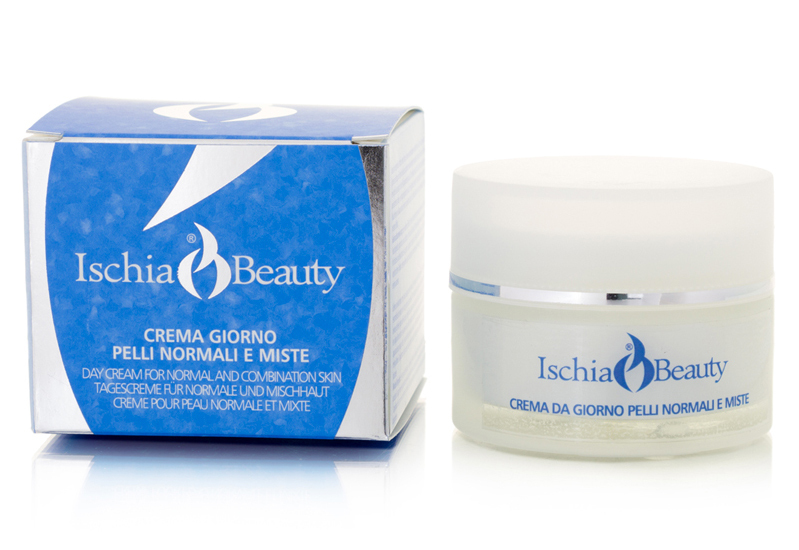 The Thermal Water of Ischia, which is rich in oligo elements and the pantenol have an excellent moisturising effect. The results are immediately visible: the pores appear smaller, the skin grain more refined, the complexion is more compact and uniform and the skin is purified and rebalanced. Rapidly absorbed, it guarantees comfort, gentleness and a pleasantly opaque effect all day long. Instructions for use: a soft and light cream, perfect for moisturising and protecting normal and combination skin without making it greasy. Regular use keeps the skin fresh and luminous. Also an excellent base for make-up. Apply after cleansing and toning the face and massage with circular movements until completely absorbed.